DAVID LE/Staff photo. 2/17/15. 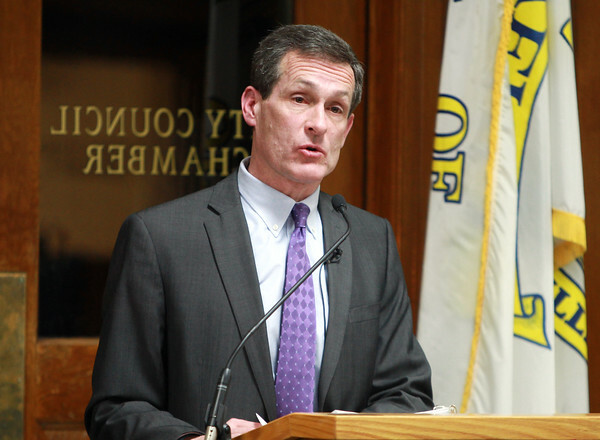 Beverly Mayor Mike Cahill delivers the State of the City address in the City Council Chambers on Tuesday evening.